The apostle John tells us that “sin is the transgression of the law” (1 John 3:4). Most people understand that when God gives us a “Thou shalt not” He means business. We understand that sin carries with it the penalty of spiritual death — separation from God (Rom. 6:23). The correct answer is “3” (sin). Though some today have the attitude that “If ignorance is bliss, ’tis folly to be wise,” God has always held men accountable for their actions. In the Old Testament, God said, “If anyone of the common people sins unintentionallyby doing something against any of the commandments of the Lord in anything which ought not to be done, and is guilty, or if his sin which he has sinned comes to his knowledge, then he shall bring as his offering a kid of the goats, a female without blemish for his sin which he has sinned” (Lev. 4:27-28). 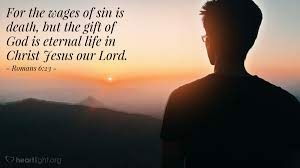 Even though one might have sinned unintentionally, the Lord still considered their action to be sinful, and thus held them accountable for their actions. The apostle Paul tells us that the Old Testament was written “for our learning” (Rom. 15:4). While we are not under the Mosaic law today, we can learn many valuable lessons from it. Ignorance of the law is no excuse. Paul himself had been responsible for the death of Christians, even though he “did it ignorantly in unbelief” (1 Tim. 1:13), and maintained a clean conscience the entire time (Acts 23:1). We need to remind people today that sin is a serious matter — whether we sin intentionally or unintentionally. “Whoever transgresses and does not abide in the doctrine of Christ does not have God. He who abides in the doctrine of Christ has both the Father and the Son.” (2 John 9).